Recorded in the band’s hometown of Oakland, CA, Drive North was produced by FIDLAR frontman Zac Carper. “I wanted to work with SWMRS right when I heard their demos. And the way they all work together as a band is really inspiring. You can tell they have been friends since they were children,” commented Carper on the collaboration. Drive North will feature previously released tracks “Miley” and “Uncool.” i-D Magazine premiered “Miley” in September, praising the song as “the most punk tribute to Miley Cyrus ever.” The band’s DIY music video for the track can be seen HERE. The album will also feature an abridged version of “Harry Dean,” a previously 17-minute epic the band originally recorded to soundtrack Saint Laurent Paris’s Spring/Summer 2016 presentation. Having discovered SWMRS during their blistering performance at Burgerama IV, Saint Laurent creative director Hedi Slimane shot portraits of the band before commissioning a piece of music and asking members of the band to walk in his Paris runway show. 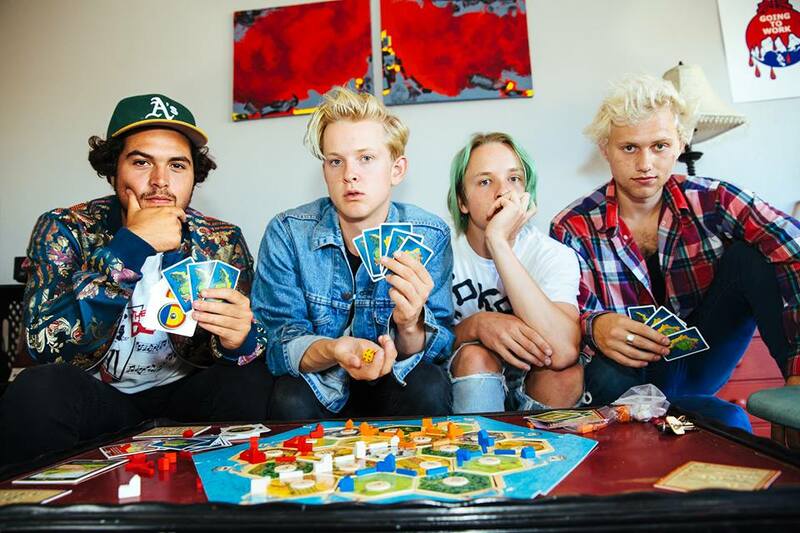 In September, SWMRS wrapped a U.S. tour supporting Wavves and Twin Peaks. Praising the band’s energetic Seattle performance, tastemaker independent radio station KEXP offered, “Part pop punk, part ruthless west coast surf, SWMRS are just what the kids need, and we’ll be seeing them again real soon.” Last month, the band shared the main-stage of Orange County’s influential Beach Goth music festival with Grimes, Mac Demarco, Ghost, and The Drums. 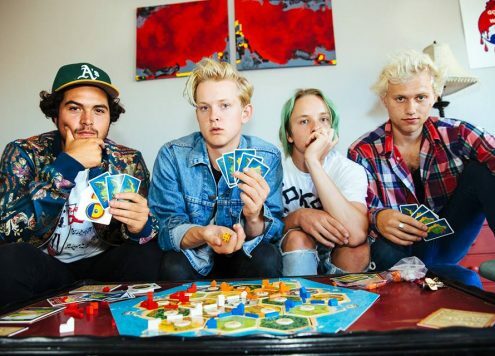 SWMRS will be announcing U.S. tour dates shortly.